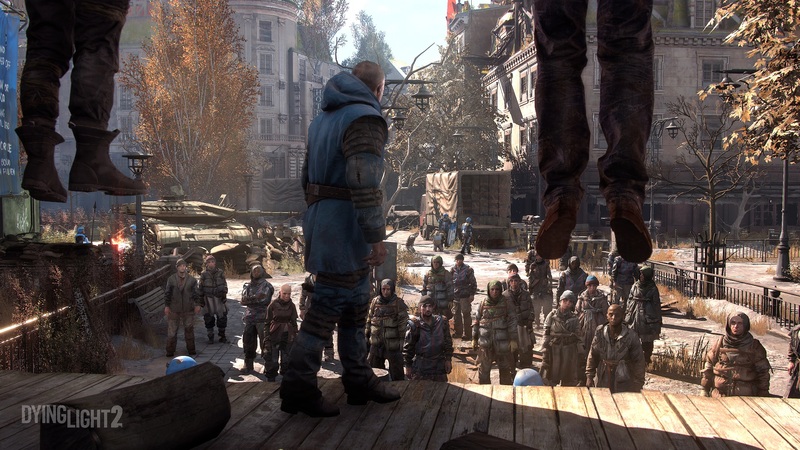 Techland crushed expectations with its 2015 smash hit Dying Light. Set during a zombie apocalypse, the studio gave players the tools and parkour skills to survive a zombie apocalypse, and they loved it. Even to this day, over half a million players log in daily to play Dying Light. Going into the sequel, Techland knew they couldn’t just make more of the same. They needed a bold vision for the future of Dying Light, one that takes what players loved so much about the original and took it in an unexpected direction. With a focus on what they call the narrative sandbox, Techland is forging a fascinating path for Dying Light 2. Dying Light 2 takes place fifteen years after the events of Dying Light. Humanity has lost the war to the infected and civilization has since devolved into a modern dark age. Players arrive in The City, a fictional European metropolis that sits as the last human settlement on the continent. 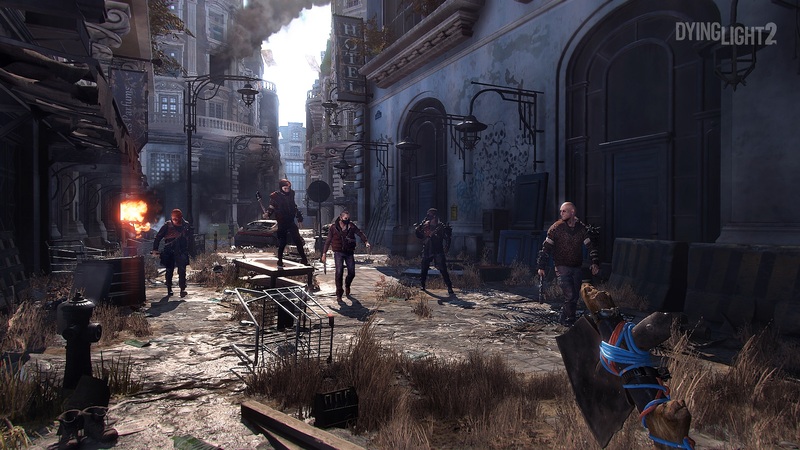 Techland brought back everything players loved about the original and expanded upon it. The number of parkour moves available to the player has been doubled, melee combat is more tactical and the day/night cycle vastly changes the way you play. For example, the Infected hide during the day, but violent bandits will roam the streets. 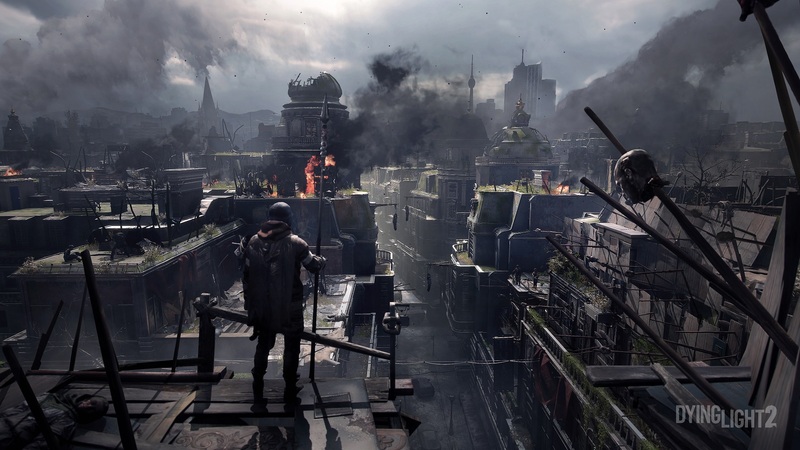 The demo, however, focused on what Techland calls the ‘narrative sandbox.’ In a change from its predecessor, Dying Light 2 heavily focuses on its story. To help craft compelling narratives, Techland brought writers who worked on the excellent The Witcher 3: Wild Hunt, including the well-received ‘Bloody Baron’ sidequest. It wasn’t enough, however, to have a good story. The developer wanted to give players choices that fundamentally changed the game. To accomplish this, the team brought in Chris Avellone (Baldur’s Gate, Fallout) to serve as the narrative director. Dying Light 2 is all about choices and living with the consequences. During the demo, we saw the player choose to attack a group of bandits. Rather than tackling them all at once, he decided to take out the first few and kill the rest when they came out of their hideout. Melee combat remains similar to the previous game, though appears more fluid and precise. Players can still modify their weapons to create some crazy combinations. Unfortunately, the bandits came out of the hideout and blew a horn to call for reinforcements, setting off a desperate chase. Later, we happened to stumble upon a water tower currently being held by bandits. In addition to the expanded list of parkour moves, Techland has expanded the system to include parkour puzzles. These require players to study the environment, find the best path to the objective and execute it. A stamina bar depletes with each move and second wasted, forcing players to examine the path and put their skills to the test. Finally, at the top of the tower, the player discovers upon two bandits who have killed an emissary sent by the Peacekeepers faction and are presented with two choices; kill them and turn the tower over to the Peacekeepers or cut a deal. For the demo, Techland first showed us what would happen if we killed them. Following a fight, the Peacekeepers roll in and make massive changes to the area. Water is made available to everyone and the rooftops become vibrant gardens. There are no easy choices in Dying Light 2, however, and the Peacekeepers are not what they seem. The faction is brutal and rules its lands with an iron fist. Disobey their rules and pay the consequence. For fun, Techland showed us how the game would change if we sided with the bandit. In this version of The City, the area is desolate and water isn’t available for everyone. Despite the harsh conditions, the player is doing quite well. As part of the deal cut with the bandits, the player is entitled to a portion of the profits, which provide funds to purchase extra equipment, weapons and modifications. This was just a taste of the narrative potential of Dying Light 2. Overall, the game is shaping up to deliver the bold vision Techland is aiming for. With a strong focus on a nonlinear narrative and the refinement of the series’ core features, Dying Light 2 is shaping up to be an exciting title. Add that to a world that is four times as large as all the areas in Dying Light combined, as well as vastly improved graphics, and you have a game that is both ambitious and looks on track to meet that ambition. Dying Light 2 is out in 2019 on PS4, Xbox One, and PC.